back in October. and more specifically October 8th. the entire gang was hanging out at Pi Bar. the place had just opened so we were all excited about drinking beer and eating another take on pizza. turned out it was a fun night. 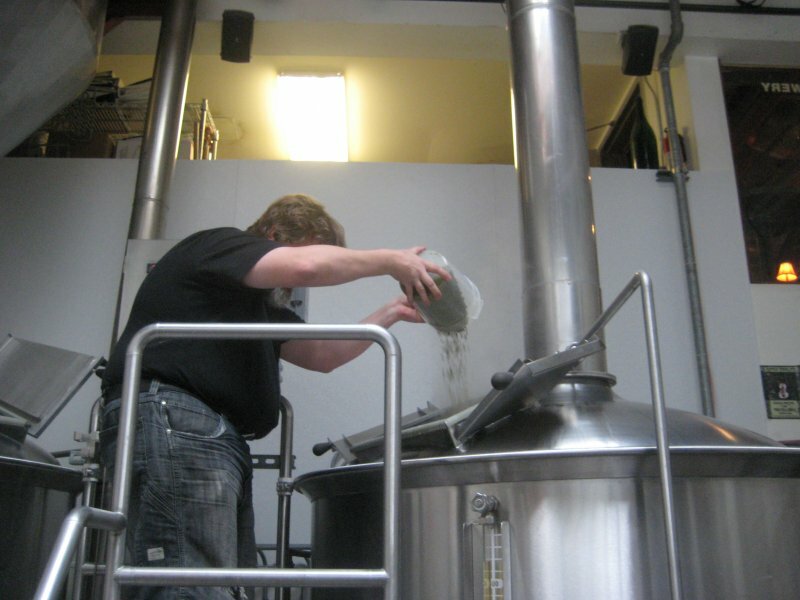 it was ShaunO who said, “you know, we really need to brew a beer call Beer School. you can help make it. anything you want to make. seriously, let’s do it!” I was floored, excited and scared all at the same time. and the question “what to make” started pinging around in my mind. oh so many things to make. it was why I was scared. I knew right off that I didn’t want to make an IPA. a Pilsner would be good but not something I normally drink. Porter, Stout, maybe an angry pale… so many styles. and just one batch. then I started thinking about 9 years of drinking beer at 21st Amendment. that’s right nine. surely there was something that was a one-off that I wanted to re-create or build on. after a lot of thought I remembered two things that were accidents that would be fun to re-make and re-take. 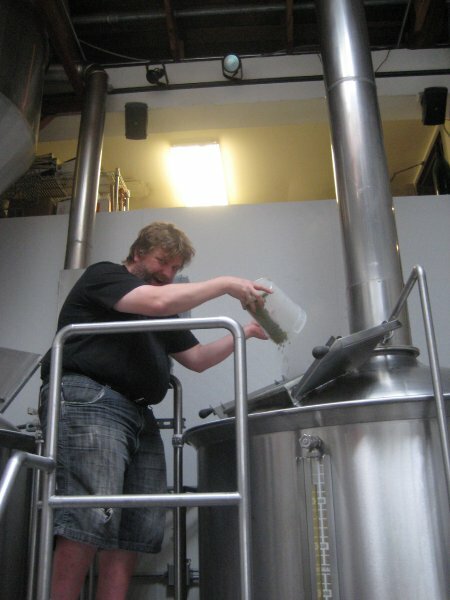 last year Jesse was dry hopping the IPA or so he thought. 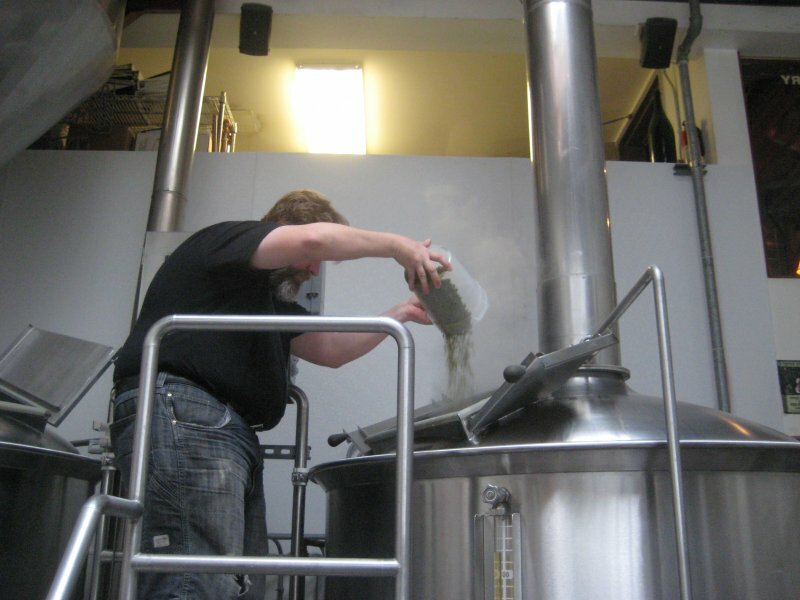 the hops went into the Blonde instead making a beer that got sold as Summer Ale. it wasn’t over the top hops. but it really took the beer into a different direction. needless to say, neither mistake has ever been repeated. 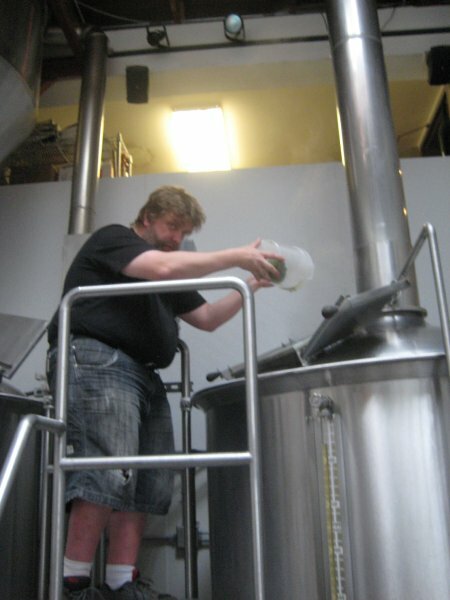 and what was the inspiration for the beer that I wanted to make. that is TWO wrongs make a RIGHT. 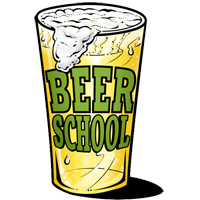 so that’s what the beer called Beer School is. 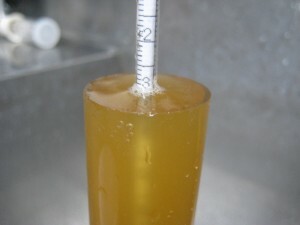 specifically it’s an 8.5% dry hopped Blonde. once I knew what I wanted to make I talked about it with Jesse. he said, “we can make that!” so it was just a matter of scheduling when. the TXT came in the middle of December, “You still want a dry hopped Imperial blonde?” I replied, “yes.” later that day we talked about the beer at the brewery. we talked about the when and what. the hops were going to the be problem. Cascade, Simcoe and Chinook would make it very IPA like. we didn’t want to make a blonde IPA. even held back it might be too much. we decided to defer the hops until brew day. brew day. or actually the night before. I was like a little kid. I couldn’t wait the same way same way that you couldn’t wait for your birthday party, the tooth fairy or the fireworks. I was totally excited. brew day got me out of bed, onto a bus, then a train and to the 21a at the crack of 9. 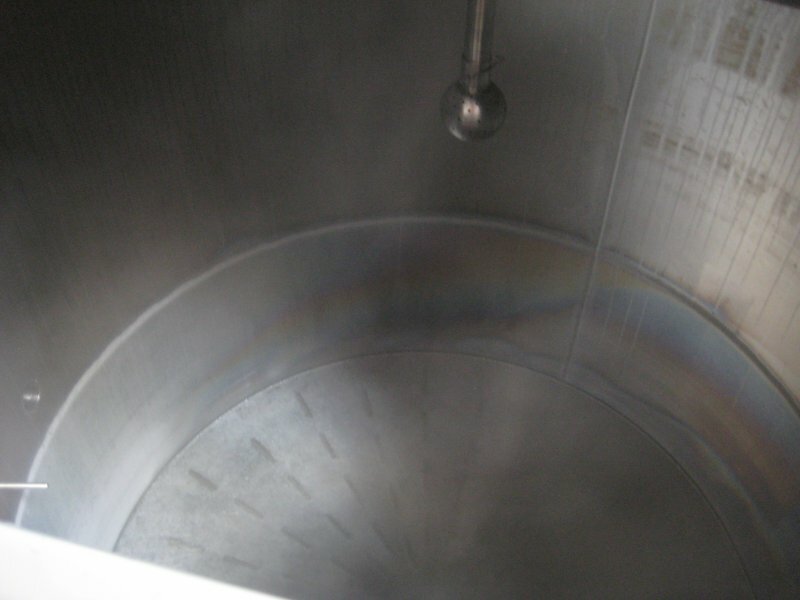 Jesse was already filling the mash tun with 168 degree water. 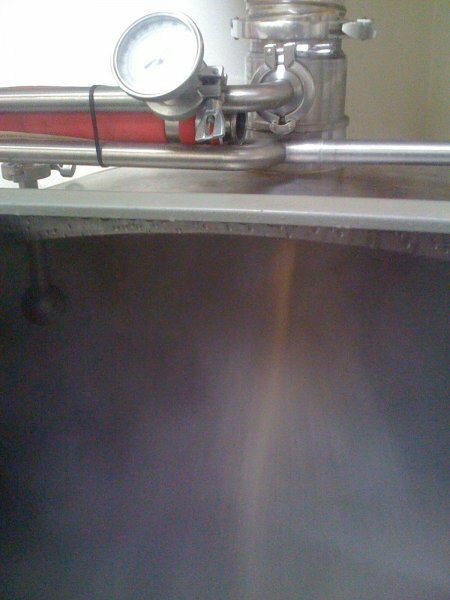 from there we wasted no time mashing in. you have to pull grain around otherwise it piles up in places. periodically you have to pull grain up to stir it. after it filled it had to sit for a while. Jesse left me to do all of that. 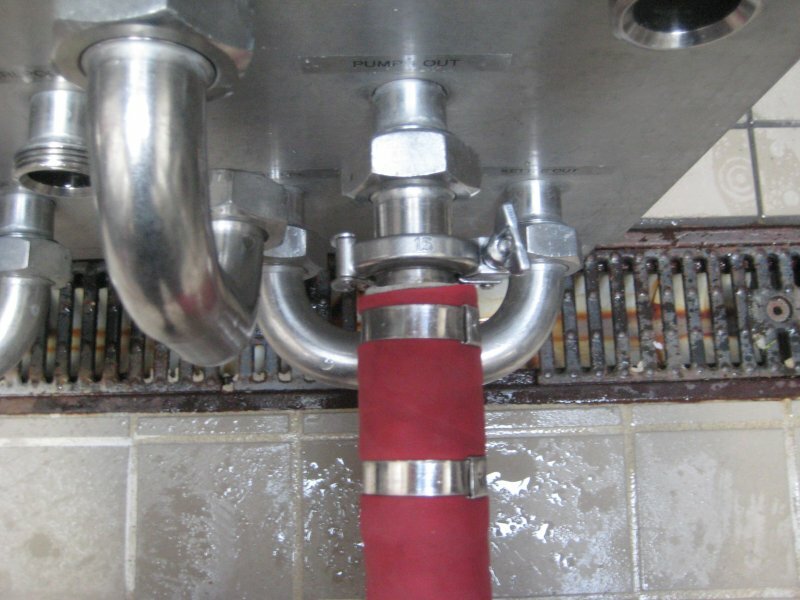 he left me with the task to hook up two valves on the main fermentor, cap a port that we wouldn’t use and hook a red “hose” to the bottom valve. “I’m picky about how the valves go.” was his only instruction. I compared what was already installed on the other tanks then did exactly that. the one thing I noticed was the the wrench to tighten the nut was exactly where I would have put it. 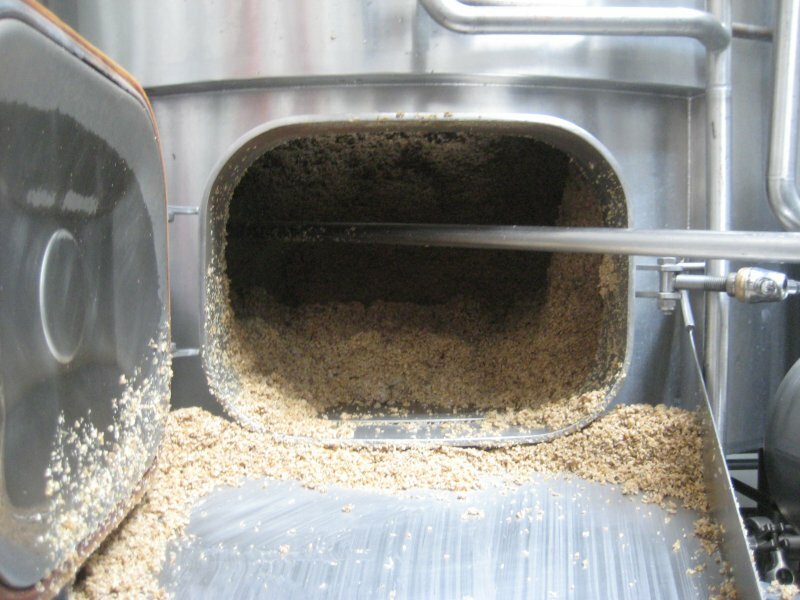 the grain in the mash tun acts like a filter containing all the husks and bits of broken grain. 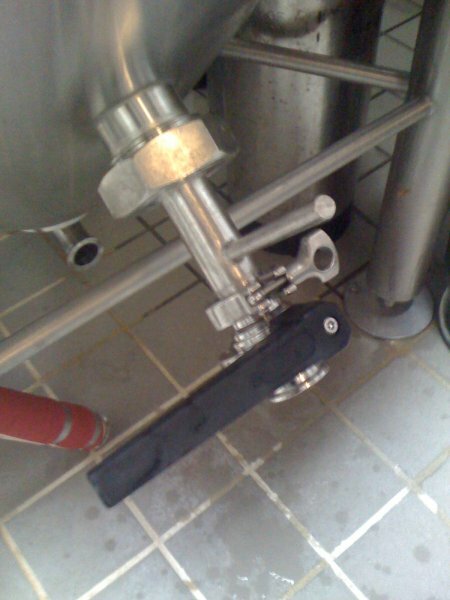 this allows the wort to go into the kettle without lots of contaminates that might make the beer taste off. the 21a brewery is small and it lacks a hot liquor kettle. 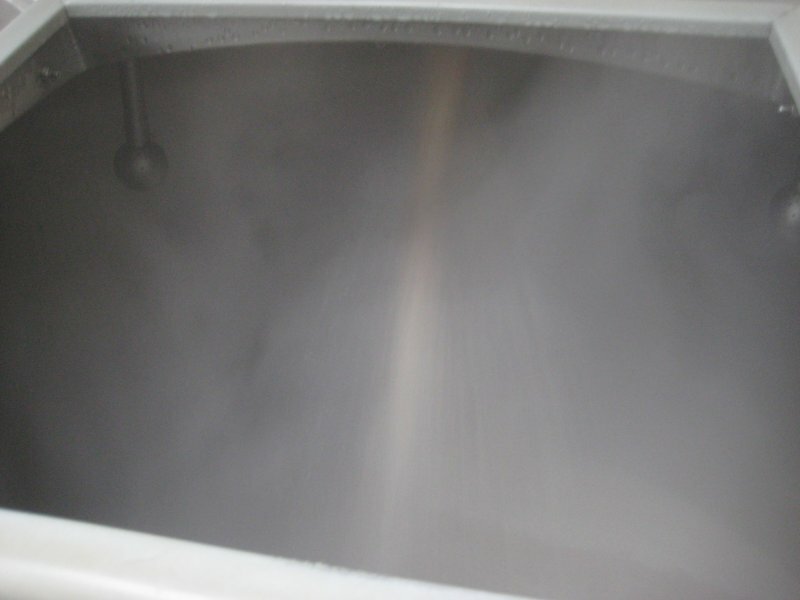 this means that a fermentor tank has to be used to hold water heated in the kettle to be used for sparging. a pump system makes this possible. sparging took almost 2 hours slowly filling the kettle with wort. 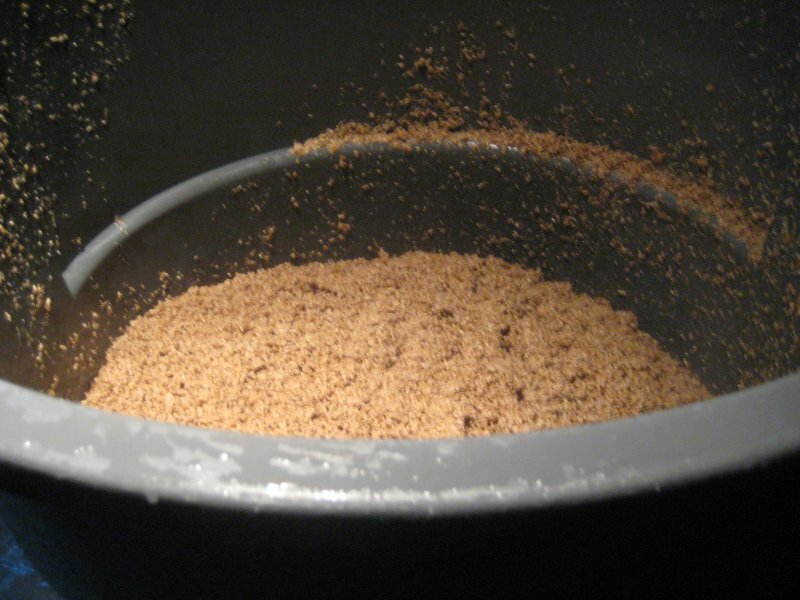 the emptying the spent grain process is pure caveman work. fortunately gravity is there for the assist. it took six trips to the recycle bin to empty all the grain. it didn’t take long for the boil to start. my brother Matt got to dump the hops (Magnum) in at the start. there wasn’t anything to do at this point so we all had lunch. 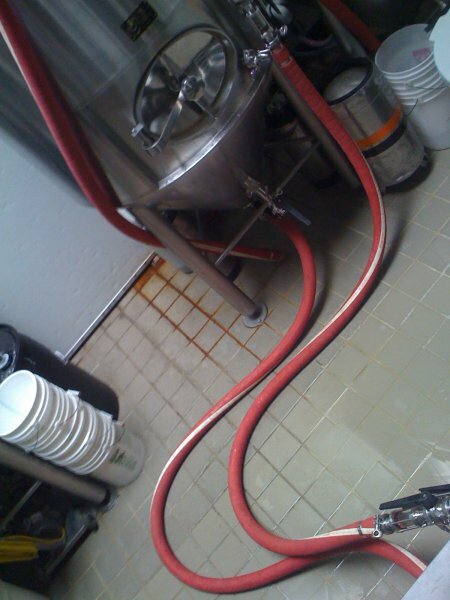 an hour later we started a whirlpool and added the other hops (willamette). Jesse made a stack of valves, visual pipe and clamps that looked like something your could use in a Men in Black movie. 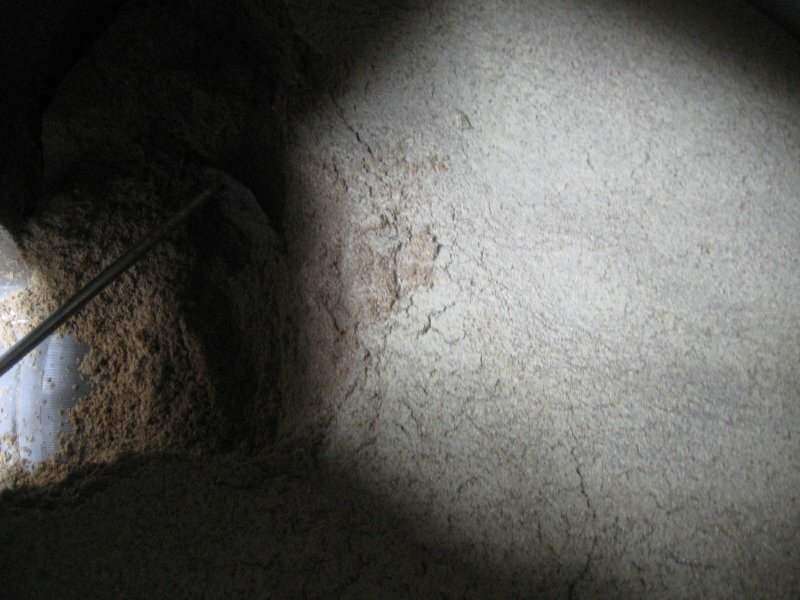 this was used to harvest yeast from an existing brew in one of the fermenters. the yeast was stuck so it needed a shot CO2 and water to make it go. 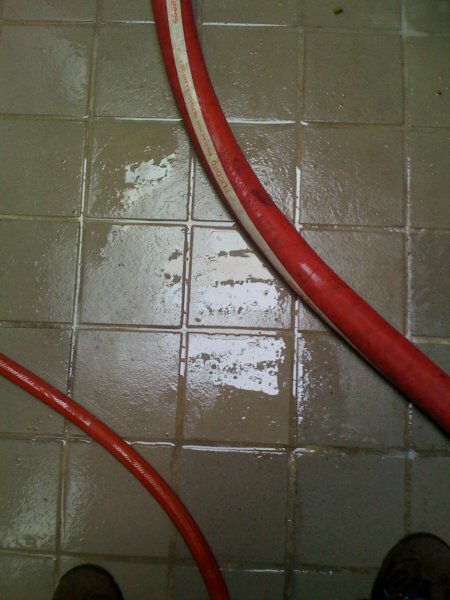 the yeast was captured in 12 feet of hose. 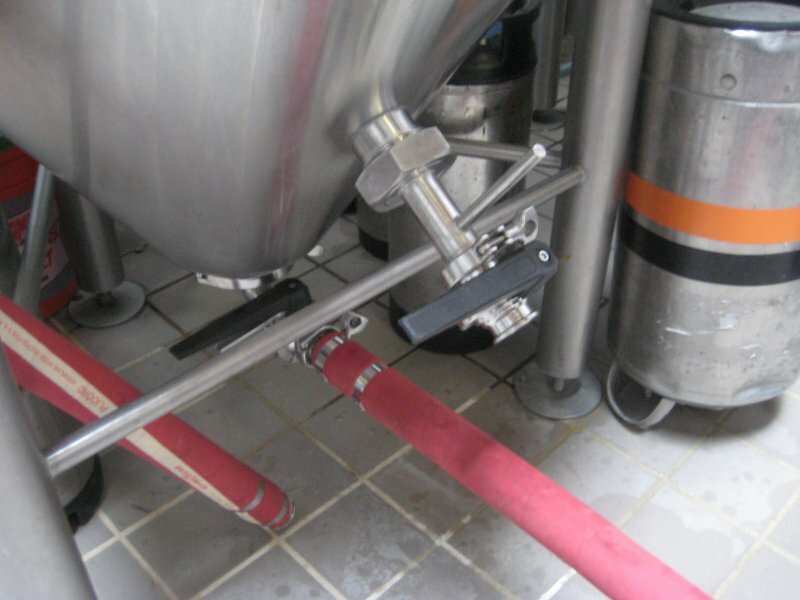 then this hose was hooked to the pump connected to the kettle so as the beer was used to move the yeast into the tank all in one shot. 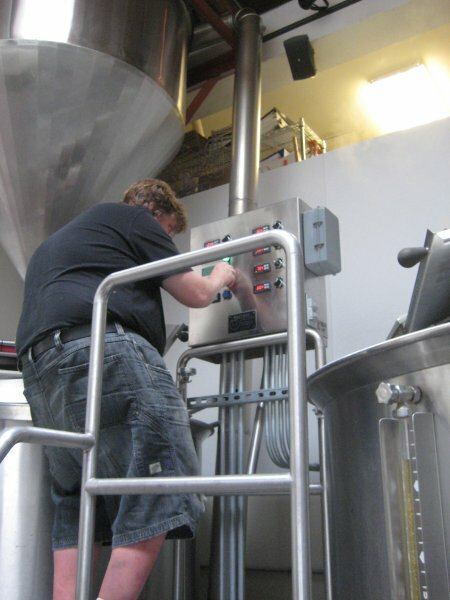 about the time the kettle was emptied into the fermenter was when everyone showed up. Motor, Nils, Torstin, Gabby, Phil, Thomas, Matt, Beth, Melissa, Catherine, Brandi and Hallie. about the time when everyone was leaving ShaunO and Stephenee showed up. from there we rolled to Richard’s to party in the Elizebeth Street Brewery until the midnight clock struck the new year. 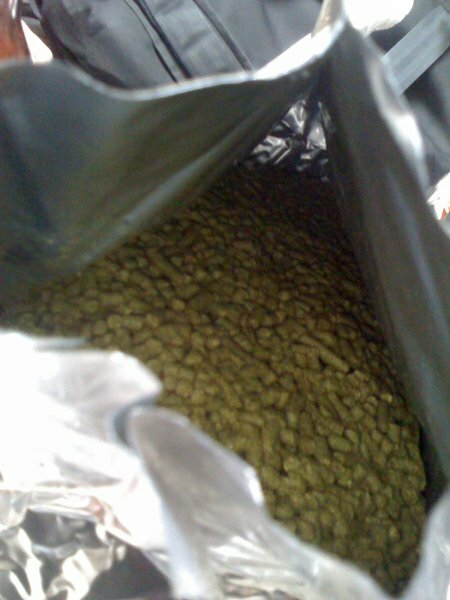 two weeks later the fermenting finished meaning it was time to add more hops. we talked about what that hop or hops might be. 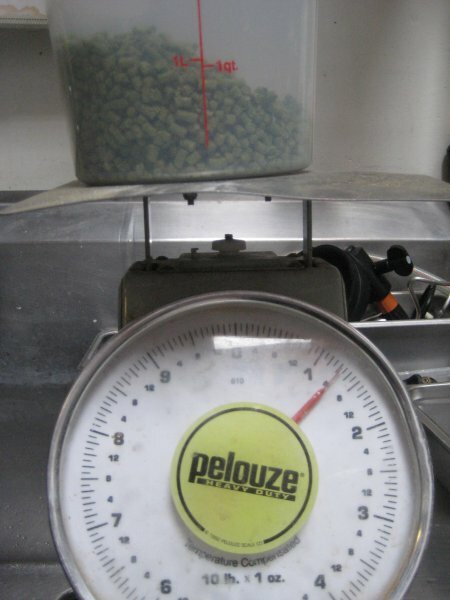 then I smelled them, crushed them, and combined three different hops together to make what we would add. let’s just say that as much as I like the hops in an IPA none of those made it into the beer. 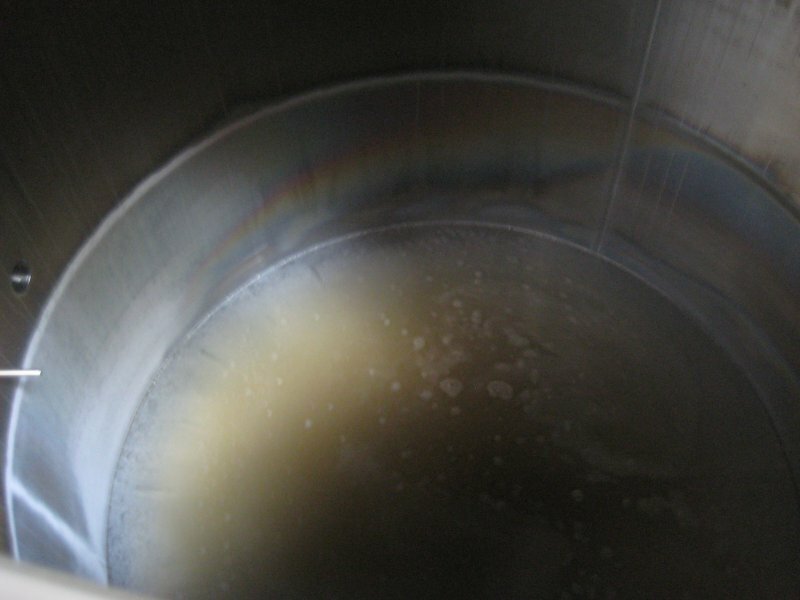 all that sat for a while before the beer was filtered. the beer called Beer School will be on during the month of February as part of the collaboration between Magnolia and 21st Amendment. SF Beer Week also falls during the same time frame. if you want to come to the release party be sure to watch here for the date and time. 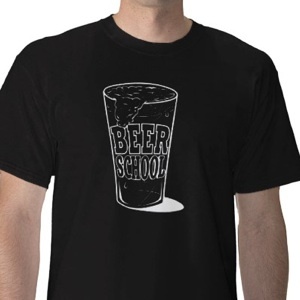 you could also email us at info@beerschool.com with the title Get Here and we’ll email the details.